Tomato & Olive Chutney. | Eat More Plants. I made salmon tonight with my favorite tomato pseudo sauce. It’s actually very versatile and could definitely go with other types of fish (tilapia, halibut, cod and sea bass namely) or chicken. It’s really good on crostini as well. Heat 1/4 c olive oil in a large sauté pan. Add onion and garlic to the pan and cook over medium heat for about 5 minutes, until softened. Add tomatoes and cook for another 5 minutes. 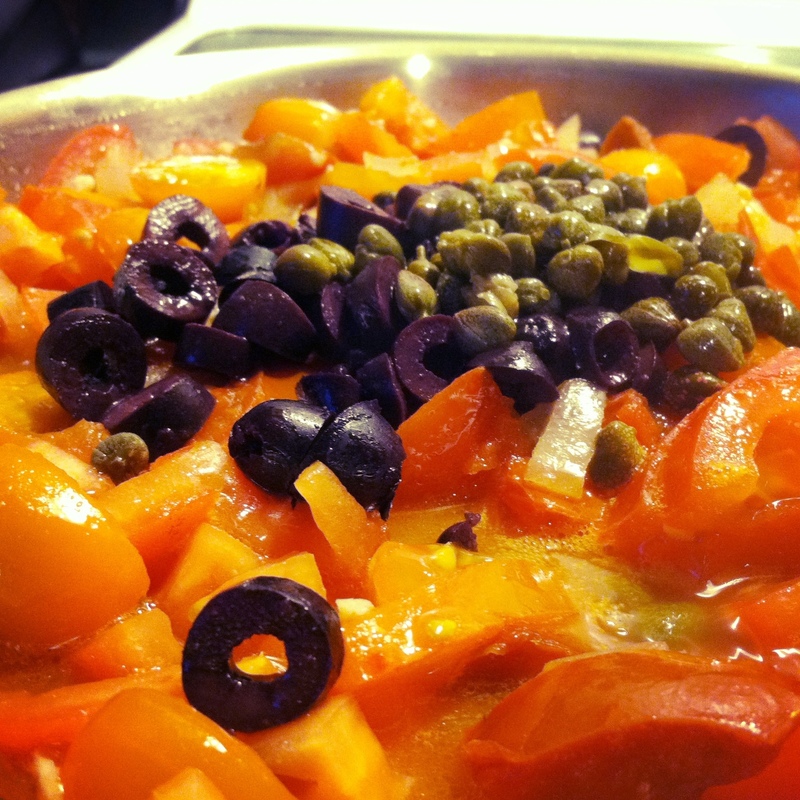 Add olives and capers and cook for another 2 to 3 minutes. I usually leave the pan on the hot burner for another few minutes while I’m getting everything else plated. It takes on a sumptuous quality, very Mediterranean and briny.